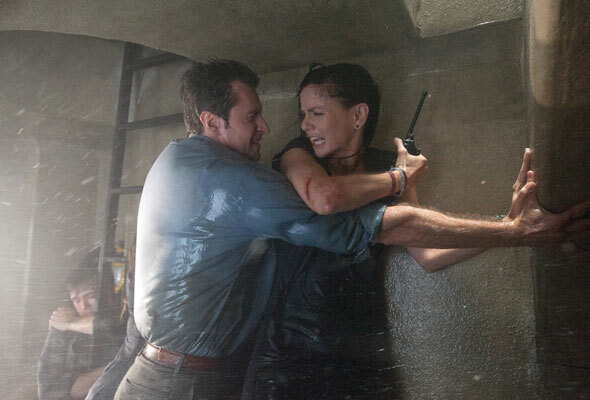 The first photos are out from the upcoming found-footage disaster movie “Into the Storm” which opens in August. The story follows multiple subjects who are brought together in small-town Oklahoma on a day of intense tornado activity. 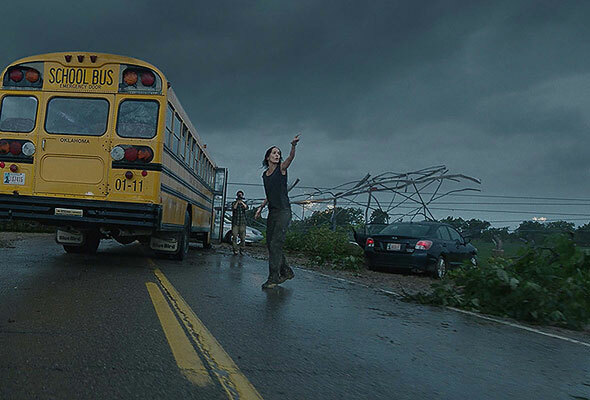 “Prison Break” and “The Walking Dead” star Sarah Wayne Callies plays a meteorologist gathering data from close-up tornado observation who has teamed up with a storm chaser (Matt Walsh) intent on getting the ultimate shot. In another thread, “The Hobbit” and “Spooks” star Richard Armitage plays an assistant school principal who goes from overseeing a graduation ceremony to frantically trying to find his missing son in the midst of near-biblical weather. 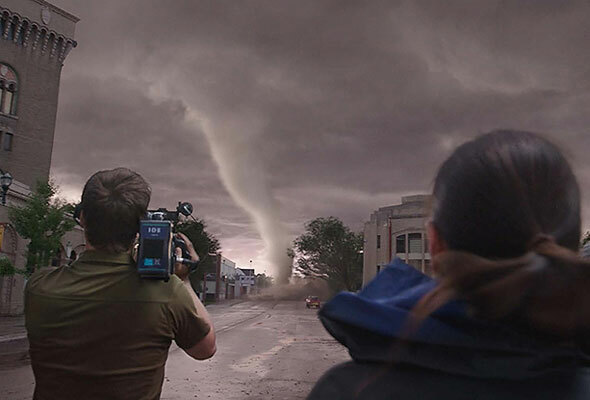 Director Steven Quale tells USA Today that the film showcases a bunch of different tornadoes from small unpredictable ones to giant wedge ones to even fire tornadoes. One sequence sees 747s being lifted right off an airport’s tarmac by a massive funnel.